A stunning waterfront property of 12+ acres, boasting a spectacular private bay, more than 2,000 feet of accessible waterfront, and two separate residences. With potential for subdivision (up to three parcels), the possibilities for this secluded estate are unlimited. 15 minutes south of Nanaimo, Vancouver Island, in the Yellowpoint area. 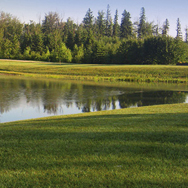 The Meadows is Whitecourt's newest land lease community, and comprises sixty home sites adjacent to a beautiful and multi-use water feature. The architectural and landscape guidelines in place will ensure the integrity of the homes and quality of the area remains intact. Whitecourt is located 1.5 hours northwest of Edmonton, Alberta. 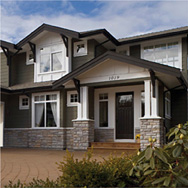 This project is a Joint Venture between Plat:form and Rommel Homes, located exclusively in the Thunderbird Creek neighbourhood of Squamish, BC. These custom built homes are surrounded by nature's beauty and afford residents a lifestyle of serenity, while also benefiting from the area's nearby amenities. 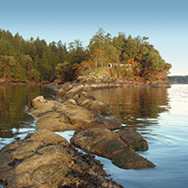 The Yellowpoint area is conveniently located just 15 minutes south of Nanaimo, BC and in close proximity to the Airport and Duke Point Ferry Terminal. 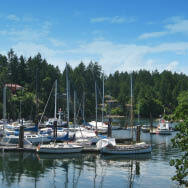 This unique, 12+ acres property, includes over 5,000 feet of ocean frontage and is adjacent to Boat Harbour Marina. The property can be further subdivided. Set in Squamish, Thunderbird Creek is a lush 127-acre master-planned community offering parkland, stunning mountain views and an extensive network of hiking and biking trails. A mix of housing types is planned for this community. 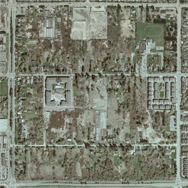 These homes were a Joint Venture between Plat:form and Townline. 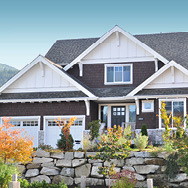 Offering unique, craftsmen style homes located in the historical neighbourhood of Steveston, BC. These single family dwellings, provide the comforts of a new home, while complementing the heritage of the neighbouring community. The Alexandra Neighbourhood is located adjacent to Richmond's City Centre. 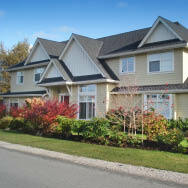 Townline was at the forefront of investing in this area and acquired a number of properties. Townline worked with the City and area stakeholders to establish the area's Land Use Plan for current construction and future developments. 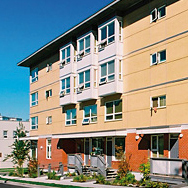 A provincially sponsored Social Housing Program, developed with local government to meet its needs of the residents. A challenge to produce liveable single-occupancy units with average sizes of only 350 sq ft was met by with the use of oversized windows and open design, resulting in homes that are functional and comfortable.